Start your new year off by getting yourself and your child mentally and physically strong. Suitable for all levels of yoga experience, ages 11 and older. Fee: $75 for six-week series or drop-in with class pass or membership. Other: Parents welcome to participate or drop off child. Class is unheated. RYT 200, Sue focuses on creating a safe and welcoming environment, teaching a step- by-step approach while reminding students of their own breath and to listen to their bodies during practice. 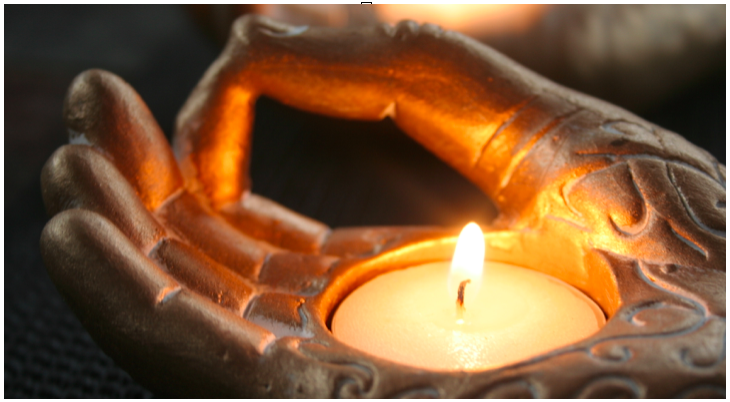 Sue is also Reiki level II practitioner and she is currently pursuing her reiki Masters. Do you want to strengthen and empower yourself through correct alignment and physcial engagement? Develop awareness of your pelvic floor and learn to consciously control these muscles, why they matter and what function they serve. The pelvic floor muscles are crucial for optimum, functioning in the body. The pelvic floor consists of ligaments, muscles and nerves that act like a hammock to support your internal organs. Proper work to strengthen, stabilize, stretch and soften the pelvic floor helps create correct foundations for each movement of the body. A strong and flexible pelvic floor helps keep pelvic and abdominal organs healthy as we age. While pelvic floor health is integral for all, this workshop will be primarily focused on the benefits for female bodies. Suitable for all levels. Kayla, RYT200, completed her training through YogaWorks with trainer Angela Botta. Yoga is an avid practice in Kayla’s life, as she was first captivated by the physical improvements in her body. From years of training and development, the physical workings of her yoga practice opened a gateway to coming to terms with her mental and spiritual self. Having earned a B.S in Psychology with a sub focus in biology, Kayla values the benefits yoga has on the mental body. Do you want to increase your flexibility while quieting your mind? Did you know that holding a pose for 90 seconds or longer can drastically change the way your body responds to the stretch? Join us for an evening that will leave your heart glowing, your body vibrant and your mind still. Yin yoga, practiced in a heated room, allows us to deeply access and increase our flexibility while calming the parasympathetic nervous system. 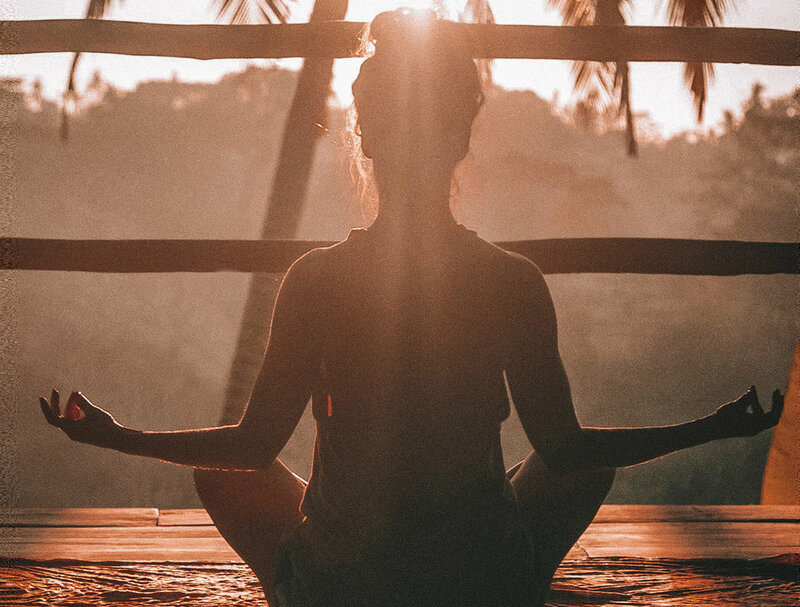 As a somewhat passive practice, Yin Yoga involves variations of seated and supine poses typically held for 3 to 5 minutes, accessing deeper layers of fascia, the connective tissues of the body. Workshop held in a gently heated room. All levels class, minimal yoga experience necessary. Petra, RYT 200, found yoga after years of struggles with staying healthy, and grants regular yoga practice with finally being able to quiet her autoimmune system into long term remission. Petra believes that in order to take care of others, we need to take care of ourselves first. Once she fell in love with yoga, she knew she wanted to share her passion with others. She sees yoga as a way of living her most authentic self. 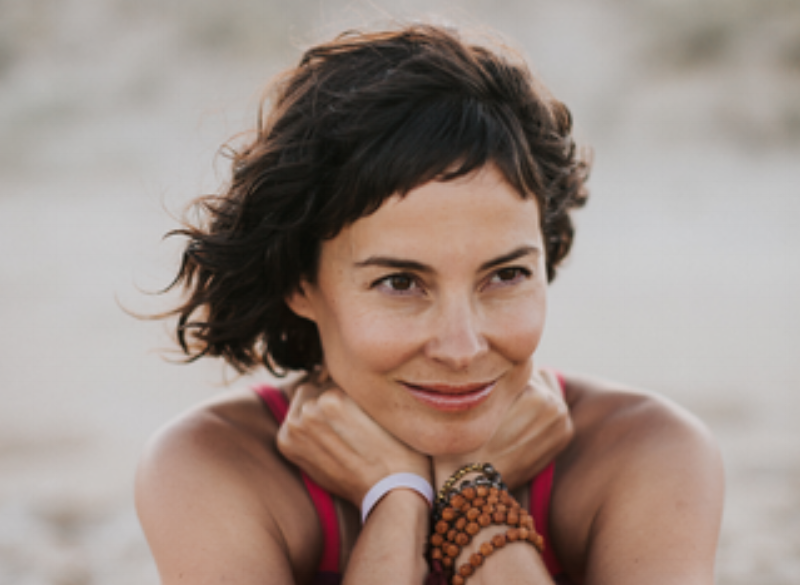 Petra’s style of teaching is centered around YogaWorks method, a Vinyasa-based flow method that balances precise instruction, detailed alignment, breath and fluid movement. She is also pradipikaYOGA’s studio manager. No prior yoga experience necessary. You are guaranteed to leave feeling relaxed and at ease - what a wonderful way to practice self-care! Others: When you register for the workshop and reserve your spot, it is held until 10 minutes before the workshop start, then it may be released to a client on our waiting list. RYT500, Erin is Kripalu Yoga Instructor and is currently working towards her 1000HR through Kripalu. She is a Certified Life Coach, Stand Up Paddle Yoga Teacher and Reiki Master. Her mission is to empower any level student in a safe and nonjudgmental setting. Erin and her Shamanic Reiki assistant Amy are both honored to create a safe and healing space together to support their community. Take this time for yourself to set intentions and learn how to use visualization and meditation for moving forward as a means of realizing your potential. No prior yoga experience needed. A well rounded flow, focusing on linking breath and movement. Stoke your own inner fire to build heat with sun salutations, work your strength and flexibility with standing postures that build up to a peak pose. Postures modified for beginners while experienced practitioners are encouraged to play to their edge. Class is unheated. Gentle flow is a non-heated, slow paced, informative and instruction based class for beginners, those looking for a relaxing practice and those who want learn more about the poses, breathing techniques and other tips and tricks for building a safe and sustainable yoga practice that will be beneficial for a lifetime. Jump like a mindful monkey, grow tall like a majestic tree, shine brightly like a peaceful warrior and lots of family fun. All ages are invited to join their parents for a class designed to bring the family together. There will be nothing required of you but to lie down and listen, giving yourself permission to rest, balance and restore. Suitable for all levels of yoga experience. 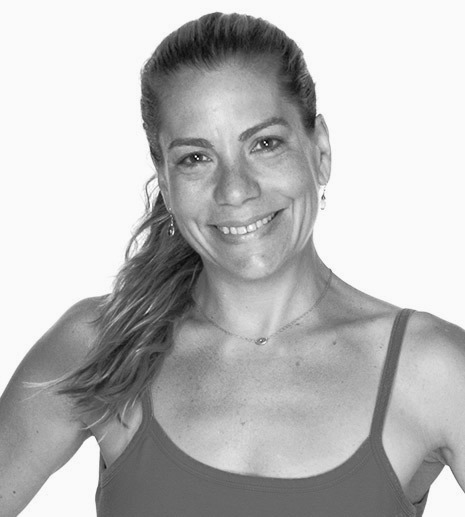 E-RYT 200, RYT 500, Traci is devoted to yoga and continually works to deepen her practice through teaching and study. She blends these influences with a safe environment for students to connect to their inner strength. Her classes promote health and flexibility, create calm in the mind, and restore balance and harmony in a mindful practice of breath, movement and meditation. Traci finds the opportunity to share the practice with others a true gift. Come see things from a different point of view... literally! All levels welcome. RYT 200, Kat completed her teacher training at The Mystic Yoga Shala. While first drawn to yoga for its physical challenges and comprehensive workout, Kat has found herself slowly integrating other yogic ideals and philosophies into her life. She encourages students to continually challenge themselves to go beyond their believed potential. As an artist and yogi, Kat has found the perfect combination of effort and ease in her life to create a happy balance. RYT 200, Sue started coming to yoga after surviving cancer. Sue focuses on creating a safe and welcoming environment, teaching a step-by-step approach while reminding students of their own breath and to listen to their bodies during practice. Sue also recently became Reiki Master. gain more freedom in your body as you age. align your psoas effectively in a variety of Amy’s favorite psoas-opening poses. You are guaranteed to walk away feeling taller, lighter, stronger and feel like anything is possible. Fee: $65 per session or $195 for full weekend if booked after. 10% off for members. Other: Yoga Alliance CE hours for full weekend apply for teachers. Non-refundable. Gift bag for first 25 to register for full weekend. Amy Ippoliti is known for bringing yoga to modern-day life in a genuine way through her intelligent sequencing, clear instruction, and engaging sense of humor. 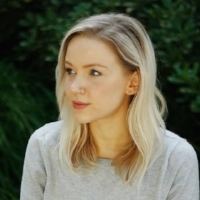 She shares her passion for yoga, health, earth conservation, and with her writings. She has appeared on the covers of Yoga Journal and Fit Yoga Magazine and has been featured in Self Magazine, New York Magazine, Allure (Korea), and Newsweek. A teacher on YogaGlo.com, she is a pioneer of advanced yoga education, cofounding 90 Monkeys, an online school that has enhanced the skills of yoga teachers and studios in 65 countries. You will explore when it’s ideal to open and when it’s better to stabilize the lower body for longevity in your practice. Amy Ippoliti is known for bringing yoga to modern-day life in a genuine way through her intelligent sequencing, clear instruction, and engaging sense of humor. She shares her passion for yoga, health, earth conservation, and writings. She has appeared on the covers of Yoga Journal and Fit Yoga Magazine and has been featured in Self Magazine, New York Magazine, Allure (Korea), and Newsweek. A teacher on YogaGlo.com, she is a pioneer of advanced yoga education, cofounding 90 Monkeys, an online school that has enhanced the skills of yoga teachers and studios in 65 countries. open your chest and free your neck, and leave taller and brighter! Join Amy for this unique upper body bliss workshop and leave taller and brighter. Amy Ippoliti is known for bringing yoga to modern-day life in a genuine way through her intelligent sequencing, clear instruction, and engaging sense of humor. She shares her passion for yoga, health, earth conservation with her writings. She has appeared on the covers of Yoga Journal and Fit Yoga Magazine and has been featured in Self Magazine, New York Magazine, Allure (Korea), and Newsweek. A teacher on YogaGlo.com, she is a pioneer of yoga education, cofounding 90 Monkeys, an online school that has enhanced the skills of yoga teachers and studios in 65 countries. Perfect whether you've been wanting to establish a pranayama practice or you simply want to hit the pause button, recharge, and renew. Amy Ippoliti is known for bringing yoga to modern- day life in a genuine way through her intelligent sequencing, clear instruction, and engaging sense of humor. 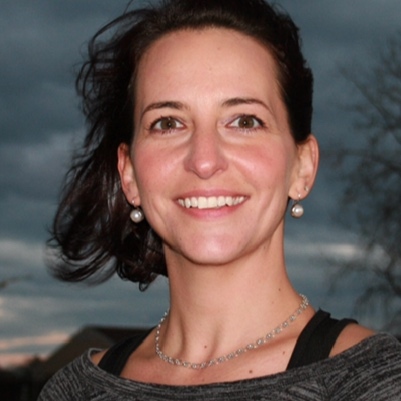 She shares her passion for yoga, health, earth conservation, and with her writings. She has appeared on the covers of Yoga Journal and Fit Yoga Magazine and has been featured in Self Magazine, New York Magazine, Allure (Korea), and Newsweek. A teacher on YogaGlo.com, she is a pioneer of advanced yoga education, cofounding 90 Monkeys, an online school that has enhanced the skills of yoga teachers and studios in 65 countries. Join Amy Ippoliti for a playful weekend of workshops in honor of the new year. Open to all levels, Amy will offer new ways to refine your yoga practice and guide you towards self discovery for the upcoming year. Don’t miss your chance to learn from Amy and start off your new year with a blissful, clarifying weekend of yoga! Other: Gift bag for first 25 to register for full weekend. Yoga Alliance CE hours for full weekend apply for teachers. Non-refundable. Come and create space and freedom in your mind, body and spirit - what a great way to welcome the new year! No prior yoga experience necessary. 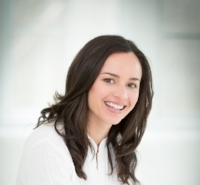 Erin is a 500HR Kripalu Yoga Instructor, Certified Life Coach and Reiki II. She first completed her 200 hour training at Kripalu School of Yoga and attended Creative Kids Yoga School where she completed a 50 hour training. She then completed a Tibetan Buddhist meditation training which was led by the respected founder, Lama Allione. Her mission is to empower any level student in a safe and nonjudgmental setting. For more info visit: evolvewitherin.com. Creating structure gives us more space to play, so come take ownership of your edges and find the ultimate sense of freedom. All levels welcome, class is unheated. Join Christine for vinyasa flow, where 100% of the donations will go to EVERYTOWN FOR GUN SAFETY, a movement of Americans working together to end gun violence and build safer communities. Let’s come together for an unheated, peaceful practice suitable for all levels to support changes that will help save lives. Whether or not you can attend our event, consider helping support our work to create a country free from gun violence by making a donation here. RYT 200, Christine has a unique perspective on using the breath to access vibration and energetic intention in yoga asana. 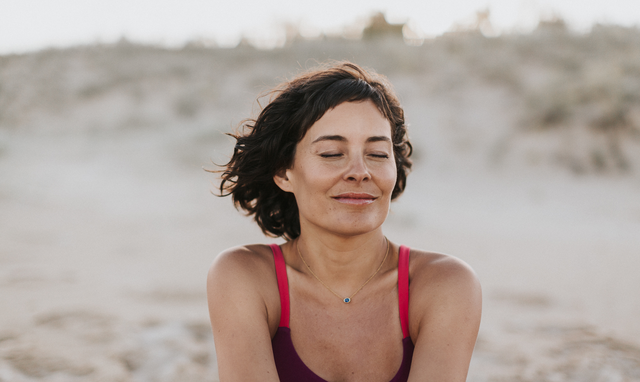 Rooted in her former career as a symphonic flutist in New Mexico, Christine teaches the importance of yoking the breath, pranayama, to experience inner presence. Her classes incorporate a vigorous and at times adventurous flow, inviting kinetic awareness and fostering poise. She challenges her students to explore all possibilities on the mat, but to know that sometimes just showing up for yourself is enough. Christine tries to find balance within her life as a busy mom through her daily home practice. She believes that yoga is a nourishing path, one she is grateful to have the opportunity to share. Appropriate for all levels, no prior experience with yoga is necessary. Restorative yoga is especially beneficial if you are recovering from an injury or if you have been feeling intimidated about starting a yoga practice. You are guaranteed to leave feeling relaxed, calm and restored! Come and enjoy the opportunity to connect to your practice like never before! Coral Brown is a licensed mental health counselor who draws on her extensive experience in yoga, philosophy, and holistic counseling to provide fertile, open space for the process of healing and transformation. This is an unheated all levels class. E-RYT 500, Coral is a Shiva Rea Senior Teacher Trainer and Prana Vinyasa Flow teacher and has also trained in the Iyengar and Jivamukti methods. She leads teacher trainings as well as retreats and workshops worldwide. Coral is a regular contributor to Yoga Journal and is a featured teacher on Yoga Vibes and OneOEight.tv. Don’t miss the opportunity to join Jim for an invigorating power vinyasa flow that opens and energizes. Prepare to sweat and ignite your spirit. Memberships and class passes apply. E-RYT 500, James has been a student of yoga and meditation with the Baptiste Yoga Institute since 2008. He became a full time Baptiste yoga instructor in 2009. James has accrued over 1200 hours of direct training from renowned yoga teacher Baron Baptiste and regularly assists Baptiste Yoga training programs around the world. 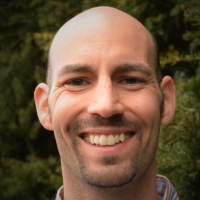 James consults and coaches fellow yoga studio owners and teachers regularly and strives to maintain the highest form of integrity towards yoga education and business practices in the modern world. He travels frequently to many studios and communities so he can inspire and share powerful yoga workshops . His passion for the practice and the science of yoga is infectious and he looks forward to bringing his experience and education to pradipikaYOGA. RYT200, Tracee has been teaching vinyasa and restorative classes since 2009. Tracee most recently completed Massage School with the Massage School of Boston. 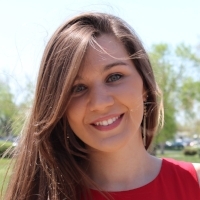 She describes her teaching style as empowering, playful and reflective. Tracee's wish is that we lighten up, and with practice soften our approach to ourselves on and off our mats. No prior yoga experience necessary. You are guaranteed to leave feeling relaxed and at ease - what a wonderful way to practice self care! 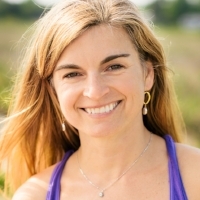 RYT500, Erin is Kripalu Instructor, Life Coach, Certified Reiki Level II and SUP Yoga Teacher. RYT200, Sue is also Certified Reiki Level II. Erin and Sue are honored to create a safe and healing space together to support their community. All levels class, no prior yoga experience necessary. Treat yourself to the gift of self care with the perfect combination of message and restorative yoga and leave feeling rejuvenated. Come learn that giving and receiving are really one and the same in this one-of-a-kind workshop, suitable for all levels. Elysabeth, E-RYT 500, is the founder of Principle-Based Partner YogaTM and the author of ‘The Pleasures and Principles of Partner Yoga’. She has studied and taught a synthesis of healing modalities for the last thirty years and is recently inspired by the possibilities revealed through transformational conversation. Visit partneryoga.net to learn more. Come see things from a different point of view...literally! Class is in an unheated room. All levels welcome. Spend an evening connecting with your teachers and fellow yogis for a community potluck event. You are welcome to bring a beverage and light hors d’oeuvre to share with the group. We’ll see you there! Fathers are extraordinary; whether they are biological or not, dads are the men who inspire us, guide us, the ones who encourage our dreams, protect us, tells it like it is and believe in us even when we don’t believe in ourselves. Today we get the chance to celebrate all they are and all that they do. Brett has been teaching yoga since 2001 and has studied with numerous teachers; Tias Little, Sarah Powers, and Adyashanti. His teaching springs from ashtanga vinyasa, modified to suit different levels, paying attention anatomical as well as "true" alignment. His approach encourages the release of patterns that make a home for fear and discomfort in the body. Brett shares and teaches that which is true and alive in him.